If you ate at a Chipotle Mexican Grill or Pizzeria Locale restaurant and paid with plastic between March 24 and April 18 this year, there's a chance hackers have your credit or debit card data. The company reports the completion of an investigation into the incident, in which hackers breached its payment card network at some, but not all, locations. 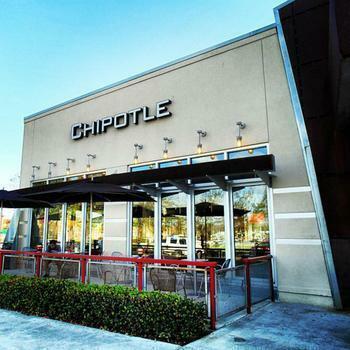 To find out if a location you visited was affected, go to the bottom of this page for Chipotle Mexican Grills and the top of this page for Pizzeria Locale. The data breach was first reported April 25, and since then investigators have been trying to learn more about it. They conclude that malware designed to access payment card data from cards used at point-of-sale (POS) locations infiltrated the company's payment networks. The software looked for track data containing vital information about the cardholder, including card number, expiration data, and internal verification code. It also sometimes included the customer's name. "Customers that used a payment card at an affected location during its at-risk time frame should remain vigilant to the possibility of fraud by reviewing their payment card statements for any unauthorized activity," Chipotle said in a press release. It's important to report any unauthorized charges to the card issuer quickly, since cardholders are protected from liability if they report the fraud in a timely manner. Consumers should contact their bank or credit card card company by using the phone number on the back of the card. Consumers who used a credit or debit card at one of the affected locations should also contact the card issuer's customer service department and report that fact. The company likely will issue a replacement card and cancel the old one. During its investigation, Chipotle said it removed the malware from its systems and is working on ways to improve its network security. The data breach is just the latest setback for the popular fast casual restaurant chain. Last year it was hit with an outbreak of E. coli that forced the temporary closing of several of its locations around the country.